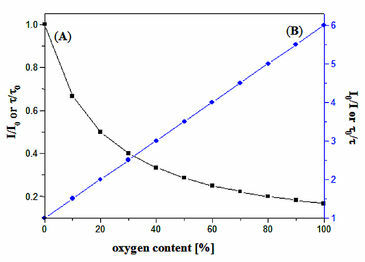 (A) Luminescence decrease in the presence of oxygen. (B) Stern-Volmer plot. Indicator dyes quenched by oxygen are, for example polycyclic aromatic hydrocarbons, transition metal complexes of Ru(II), Os(II) and Rh(II), and phosphorescent porphyrins containing Pt(II) or Pd(II) as the central atom. 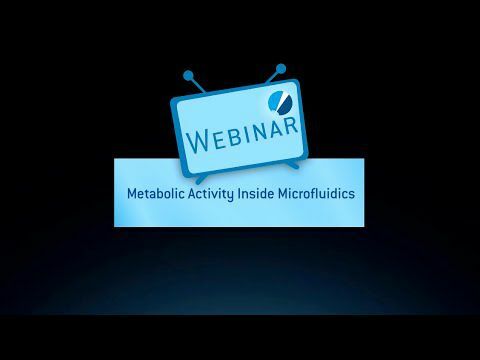 It is important to mention that the quenching effect is highly specific for molecular oxygen. Effects of varying pH-values, ionic species and other solutes in the sample are avoided by embedding the oxygen sensitive indicator in an ion-impermeable matrix. In contrast to the amperometric oxygen electrodes, optodes are in a thermo-dynamical equilibrium and not in a steady state. 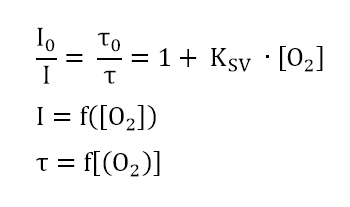 Therefore, no oxygen is consumed during the measurement and the signal is independent from changes in flow velocity. 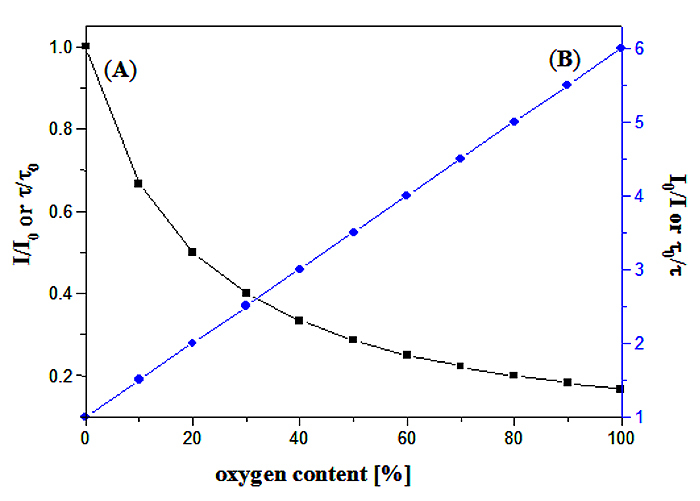 The calibration function of oxygen optodes only depends on the composition of the sensing layer. So it is possible to design sensors with a tailored oxygen sensitivity.